One of the most significant transformations that occurred in Islamic history, the legacy of which is apparent even in our own day, was undoubtedly the formal conversion of Iran to Shi‘ism during the sixteenth and seventeenth centuries. Although there have been other instances throughout Islamic history of rulers seeking to bring about religious uniformity for political reasons—the Almohads in Iberia and North Africa being prime examples; the example of Malikism in al-Andalus is another—the case of the Safavids in Iran is perhaps the only example where such a conversion of territory was largely successful, in terms of both the scale of the project and its permanence. The end result was that an entire region of the Islamic world was placed under the exclusive dominion of a single sect, Twelver Shi‘ism, at the expense of other forms of Islam (Sunnism and Zaydi Shi‘ism). A little-known fact to most laypeople is that, for much of its Islamic history, between the Arab conquest in the seventh century and the establishment of the Safavids as rulers of the country in the sixteenth, Iran was a stronghold and intellectual center of Sunni Islam. Most of the significant thinkers and figures of Sunnism, including theologians (Sharif al-Jurjani, Fakhr al-Din Razi, Umar al-Nasafi), mystics (Abu Hamid al-Ghazali, Abd al-Qadir al-Gilani), founders of schools of law (Abu Hanifa, Dawud al-Zahiri), historians (Tabari, Bayhaqi, Baladhuri), political theorists (Nizam al-Mulk, Jalal al-Din Davvani), poets (Abd al-Rahman Jami, Farid ud-Din Attar), and hadith collectors (all the Sunni authors of the Sihah al-Sitta) were Iranian. To be sure, there were significant Shi‘i communities in Iran as well, concentrated mainly in Kashan, Qom, and Gilan but these included Isma‘ili and Zaydi groupings as well as Twelvers. The Isma‘ilis were largely destroyed and the Twelvers would only experience ascendancy on the Iranian plateau following the Mongol invasions and the establishment of the Il-Khanate (1256–1335) and the Qaraqoyunlu dynasty (1375–1468). However, these latter two dynasties were characterized by their toleration of Shi‘ism rather than any large-scale attempt to impose the faith on their populations, as the Safavids would do. 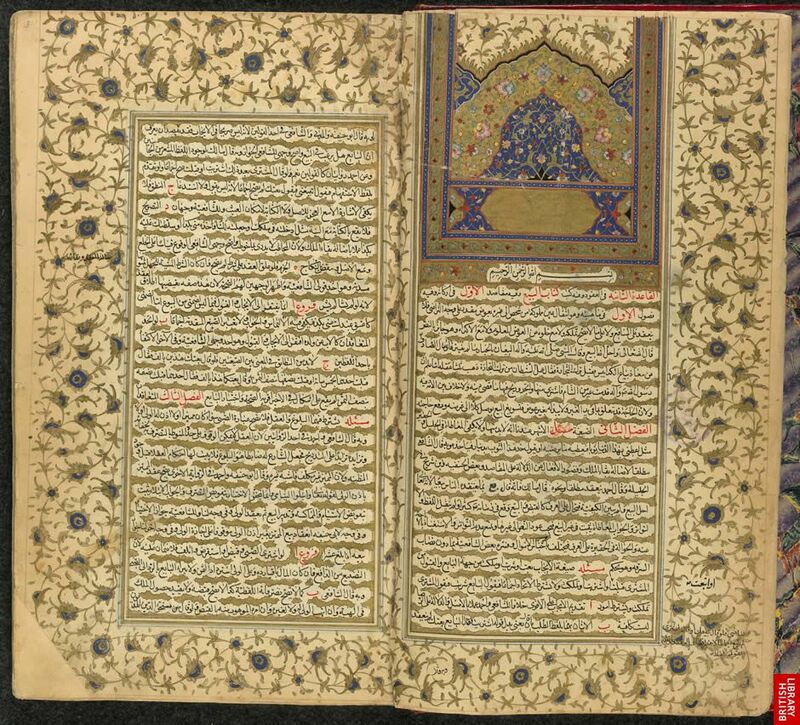 In this piece, I want to shed some light on the process of the Safavid conversion of Iran to Twelver Shi‘ism in order to encourage further inquiry into the topic. As a scholar of medieval and early modern Iberia—and especially as one interested in the large-scale conversions of 1391 and 1501 in Spain—I find this particular topic to be one of utmost importance. The destruction of the Sunni community of Iran bears strong resemblances to the process of the Christianization of conquered regions of al-Andalus. It is also quite an interesting fact in itself that the conversion of the Muslims of Spain and the conversion of Iranian Sunnis were both enacted in the year 1501. Both processes were also extremely politically motivated and had far more to do with the process of state-building, the relationship between clergy and state power, and the homogenization of the polity in the early modern world than any inherent propensity of either Catholicism or Twelver Shi‘ism for violence. There was also an important messianic component in both cases, which should certainly not be ignored. 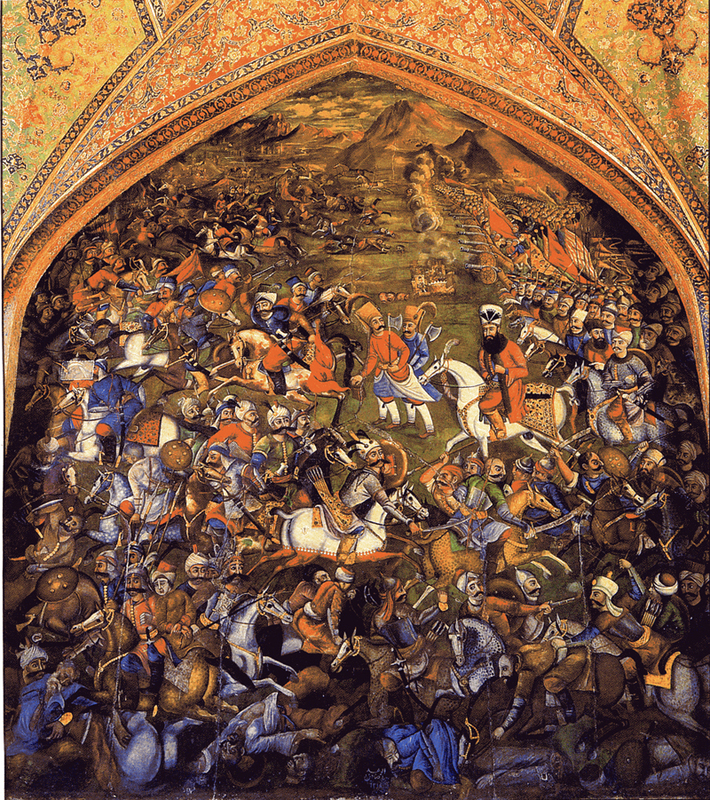 As the 500th anniversary of the important battle of Chaldiran (1514) approaches, it is now more important than ever to consider the significance of the Safavid conversion of Iran, a historical event which has evaded the historical consciousness of the vast majority of Muslims and non-Muslims alike. The conversion of Iran was a critical component (some may even argue a catalyst) in the confessionalization of the Near East that took place in the early modern period. By “confessionalization,” I mean the increased association between religious identity, sectarianism and the polity. While for much of Islamic history, various sects had coexisted (however uneasily) throughout the Islamic lands, often residing in close proximity to one another, the process of confessionalization involved the exclusive identification of a political entity (and thus, a geographic region) with a particular sect (or confession/creed). This meant that the populations which resided in each entity acquired a stronger sectarian identity and, thus, the lines between sects (often blurred in the medieval period) became increasingly defined. State power began to play a more direct role in determining the lines between “orthodoxy” and “heterodoxy,” enacting harsh sanctions against those deemed to belong to the latter category. “Confessionalization” also implies that a polity’s domestic and foreign policy also became increasingly tied to its own sectarian affiliation. By the mid-sixteenth century three major political formations had emerged: A staunchly Shi’i Safavid Iran, an increasingly Sunni Central Asia (under the Uzbeks), and a staunchly Sunni Ottoman Empire. Sunnism was harshly repressed in Safavid domains, just as Shi’ism was severely persecuted in Central Asia and the Ottoman lands. It was this confessionalization of the Middle East that played a central role in weakening whatever cultural or religious unity remained in the central Islamic lands. To some degree, this association between sect and state still has profound consequences in the modern-day Middle East. In the early sixteenth century, the establishment of the Safavid polity had a major effect upon the political fortunes of Twelver Shi‘ism, previously existing as a tolerated but oppressed religious community, and greatly transformed the relationship between Sunnis and Shi’is in the Islamic world. It was essentially the militant espousal of Twelver Shi’ism by the Safavids and the sporadic, yet devastating, wars with the Ottoman Empire which played a key role in the confessionalization of the Near East into two distinctive sectarian camps. It was during the reign of Shāh Ismā‘īl (r. 1501–1524) that Iran was conquered by the Safavids, Shi’ism established as the official religion, and the ritual cursing of sacred Sunni personages, namely the Companions of the Prophet, institutionalized. Over the course of the sixteenth century, the most confrontational attitudes within the Sunni and Shi’i traditions—exemplified by takfīr (anathematization) and sabb (ritual cursing)—were appropriated, developed and deployed by the Ottomans and Safavids respectively. The practice of sabb, in particular, played a central role in the development of early modern Iranian Shi‘i religious identity and greatly informed the attitude of the Ottomans towards the Safavid state. In order to better grasp the process and implications of this transformation, it is important to revisit the circumstances surrounding the rise and establishment of the Safavids in Iran. 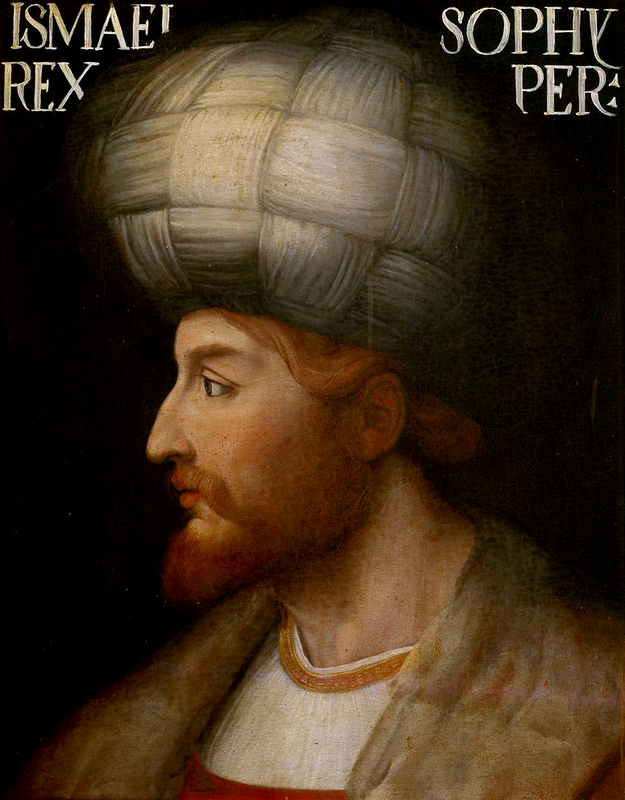 During Ḥaydar’s leadership of the Safavid order, the Turcoman tribes adopted the distinctive twelve-pointed red head-gear (known as the tāj-i ḥaydarī), signifying allegiance to the Twelve Shi‘i Imāms, for which they became known in Turkish as the Kizilbash (“red-heads”). [vii] It is important to note that the Shi‘ism promoted by Junayd and Ḥaydar did not resemble the more “orthodox” Twelver Shī‘īsm of urban centers such as Qom, Ḥilla or Jabal ‘Āmil, but was rather an eclectic mix of various doctrines which were subsumed under the general framework of Shi‘i devotion to the Twelve Imāms. [viii] In fact, sabb/shatm is a practice which was, historically, associated quite closely with the ghulāt, which is why it is important to underscore this aspect of the early Safavid movement in order to understand the developments which occurred following the movement’s conquest of Iran in 1501. It appears that many of Ḥaydar’s followers adopted extremist Shi‘i beliefs (intermixed with shamanism and other ideas) and deified their leader, believing him to be a manifestation of God. According to Fazlallāh ibn Rūzbihān Khunjī (d. 1517), “it [was] reported that [the Kizilbash] considered [Ḥaydar] as their god and, neglecting the duties of namāz and public prayers, looked upon the Shaykh as their qibla and the being to whom prostration was due.”[ix] During Ḥaydar’s reign as head of the Safavid order in the late fifteenth century, it was transformed into a fully independent political and military force, a fact which generated much anxiety among Uzūn Hasan’s son, Sultan Ya‘qūb who sought to curb the power of Ḥaydar and his followers. [x] Before long, the Kizilbash, whose numbers were significantly augmented by even more Turcoman tribesmen from Iraq and Anatolia, were in open conflict with both the Shirvanids and the Aqquyunlu, and Ḥaydar himself was killed fighting against their combined forces in 1488. 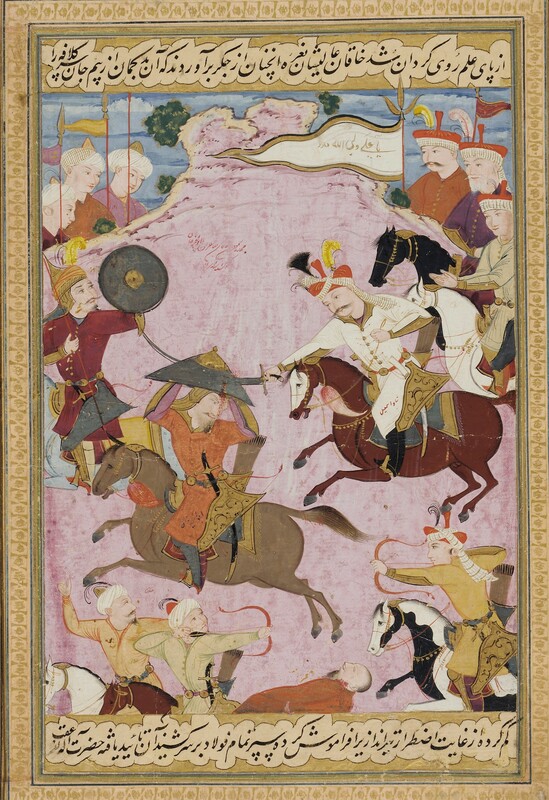 [xi] Although this defeat temporarily halted the rise of Kizilbash, it did not permanently end the threat emanating from the Turcoman tribes and the Safavid order. Various massacres also took place: 10,000 were executed near Hamadan in 1503; 4000 members of the Kaziruni Sufi order were murdered in Fars, while all the tombs of rival Sufi orders were desecrated; ten thousand refuges and dissenters who took up refuge in Asta were put to the sword; the entire cities of Yazd, Tabas and Abarquh was slaughtered, tens of thousands of people in these three cities alone according to Safavid chronicles; in Khurasan, the tomb of Abd al-Rahman Jami (d. 1492) was destroyed and the entire population of Qarshi—about 15,000 people—massacred. 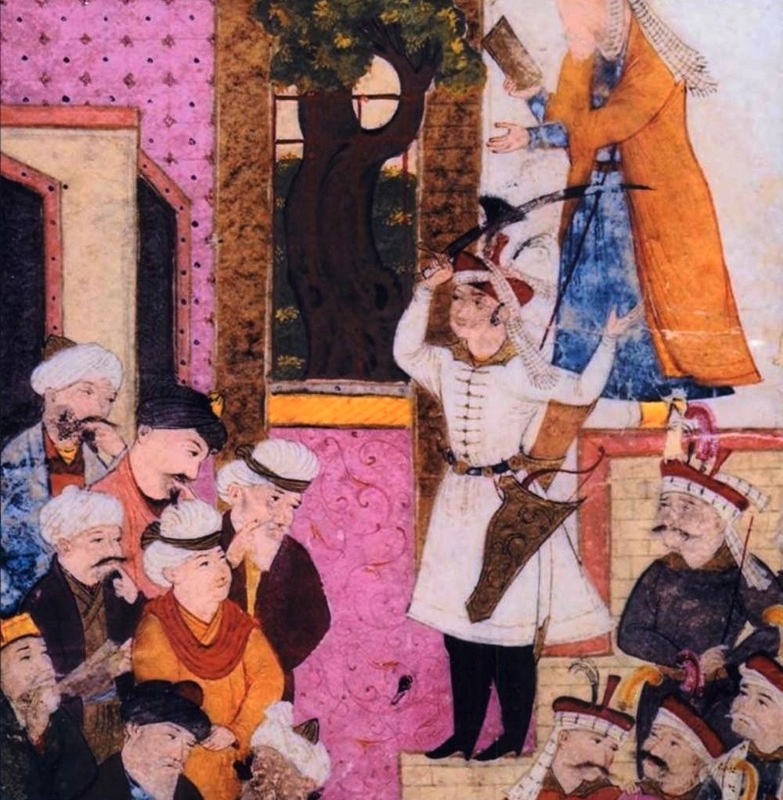 [xvii] The violent institutionalization of Shi‘ism and the brutal eradication of Sunni Islam in the lands under Safavid rule was meant to announce the arrival of a new dispensation, one which was predicated on the defeat of bāṭil (“falsehood”; identified with Sunni Islam) and the elevation of ḥaqq (“truth”, which could only be Shi’ism). 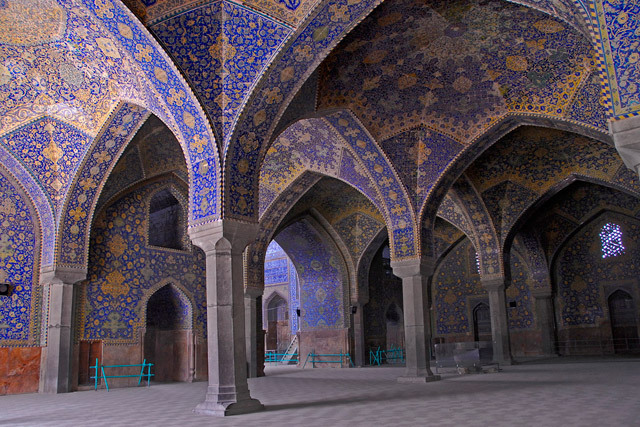 The Sunni community of Iran, which had existed for centuries in the country, was permanently destroyed between the early sixteenth and late seventeenth centuries through a sustained process of mass violence, forced conversion, exile, the destruction of religious institutions (Sufi orders, mosques, and networks of scholars), and a concentrated program of religious propaganda aimed at transforming the country into a bastion of Twelver Shi‘ism. By the late seventeenth century, the only Sunni communities that remained were those residing along Iran’s frontiers and they were treated with varying degrees of toleration. It would be oversimplistic to characterize the institutionalization of ritual cursing in Safavid Iran merely as an outgrowth of the messianic and heterodox tendencies of the Kizilbash, although this was certainly a factor in its institutionalization. The ritual cursing of the first two caliphs, viewed as usurpers and oppressors by Twelver Shi’is, has an important history which long precedes the Safavids. However, due to the relative paucity of sources, it is unclear whether the implementation of this practice—at Tabriz in 1501, and then across Iran—was a product of this ancient tradition or merely a political tool which was utilized in order to undermine the established Sunnism of the Iranian populace and facilitate the adoption of Twelver Shi‘ism as the state religion. [xxv] In any case, the institutionalization of sabb was an unprecedented development in Shi‘i history and was a major violation of the normative practice of taqīyya. Neither the Fatimids nor the Buyids, both Shi‘i states in the Middle Ages, had ever instituted such a practice. In several ways, the early Safavid period represents a major break with classical Shi’ism with regard to the issue of tabarru’. Based upon my reading of the literature and the primary sources consulted, the institutionalization of the practice of public vilification of the Companions of the Prophet—who were considered to be sacred personages by the Sunnis—was a bold move and a clear abandonment of taqīyya or precautionary dissimulation. Although the traditional view among Shi’is was that it was wisest to await the arrival of the Mahdī or Qā’im, who would exact retribution upon the enemies of the faith and reveal the truth of all things to them, the establishment of the Safavids in Iran was a major development which prompted an increasingly activist approach, especially among figures such as al-Karakī who viewed the Safavids as the means by which the faithful would be empowered and enabled to manifest their faith openly. Following al-Karakī’s lead, many prominent Shi’i scholars during the Safavid period—including Nūr Allāh al-Shushtarī (d. 1610) and Muḥmmad Baqir al-Majlisī (d. 1699)—would compose major works demonstrating the invalidity of Sunnism, the merits of cursing the Companions of the Prophet, and the necessity of openly confronting the vast majority of “misguided Muslims” about these facts. [xlviii] Indeed, al-Shushtarī is a particularly interesting case since he was active in an explicitly non-Shi’i state—Mughal India—but nonetheless proclaimed that he “threw away the scarf of ṭaqīyya and, taking with me an army of arguments, I plunged myself into jihād against the ‘ulamā’ of this country.”[xlix] Shushtarī’s statement about casting aside taqīyya was a direct reference for his insistence upon the public cursing of the Prophet’s Companions and the exposure of their historical injustices against the Family of the Prophet. The career of Shushtarī, like that of al-Karakī, reinforced the association between public anti-Sunni activities and the abandonment of taqīyya. Both were conscious actions and militated against the prevailing wisdom which had hitherto dominated medieval Shi’ism. Needless to say, the forced conversion of Iran to Shi’ism and the institutionalization of ritual cursing was not received well by the Sunni world. 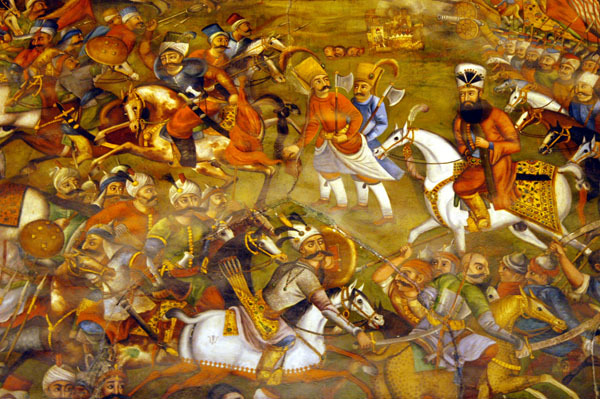 The existence of this practice became the explicit casus belli of the Safavid-Ottoman wars throughout much of the sixteenth and seventeenth centuries. Various fatwas were issued by the Ottoman religious establishment emphasizing the complete infidelity of Safavid Iran and the necessity of all faithful Muslims to wage war against it in order to defend the honor of the first three caliphs and the Companions of the Prophet. [l] The Sunni juristical discourse of takfīr was placed in the service of the Ottoman state, which deployed it against the Safavids (and other Shi’ite groups) as it deemed fit. This gave the wars between the Ottomans and Safavids a strongly religious and sectarian character and was instrumental in the confessionalization of the Near East during the early modern period. Dressler, Markus. “Inventing Orthodoxy: Competing Claims for Authority and Legitimacy in the Ottoman-Safavid Conflict.” In Legitimizing the Order: The Ottoman Rhetoric of State Power, eds. Hakan T. Karateke and Maurus Reinkowski, pp.152–173. Leiden: Brill, 2005.
al-Tikriti, Nabil. “Kalam in the Service of the State: Apostasy and the Defining of Ottoman Islamic Identity.” In Legitimizing the Order: The Ottoman Rhetoric of State Power, edited by Hakan T. Karateke and Maurus Reinkowski, pp. 131–149. Leiden: Brill, 2005. Winter, Stefan. The Shiites of Lebanon under Ottoman Rule, 1516–1788. Cambridge: Cambridge University Press, 2010. ____________. “Rebels and Renegades on the Ottoman-Iranian Frontier.” In Iran Facing Others: Identity Boundaries in a Historical Perspective, edited by Abbas Amanat and Farzin Vejdani, London: Palgrave. 2012. [iv] The adoption of the title of “sultan” suggests worldly pretensions and a claim to political authority. [xvi] Scherberger, “The Confrontation between Sunni and Shi’i Empires,” p. 54; Shaw, History of the Ottoman Empire, p. 78; Hermann and Ibarra, “La instauración del shiismo como religión de Estado en Irán,” p. 447; Hodgson, The Venture of Islam, 3: 23; Momen, An Introduction to Shi‘i Islam, p. 109. Abū Ḥanifa (d. 767) was particularly singled out by the Safavids for vilification because he was the founder of the school of Islamic law followed by the Ottomans. His tomb in Baghdad was desecrated in destroyed first in 1508 by Shāh Ismā‘īl and again in 1623 by Shāh ‘Abbās I (Jean Calmard, “Tabarru’,” Encylopedia of Islam, Second Edition). [xxv] Previous Shi’ite states, including the Buyids and the Isma‘ili Fatimids, had not institutionalized ritual cursing in the lands they ruled and even harshly punished perpetrators of the practice, which was viewed as a disruption of public order. 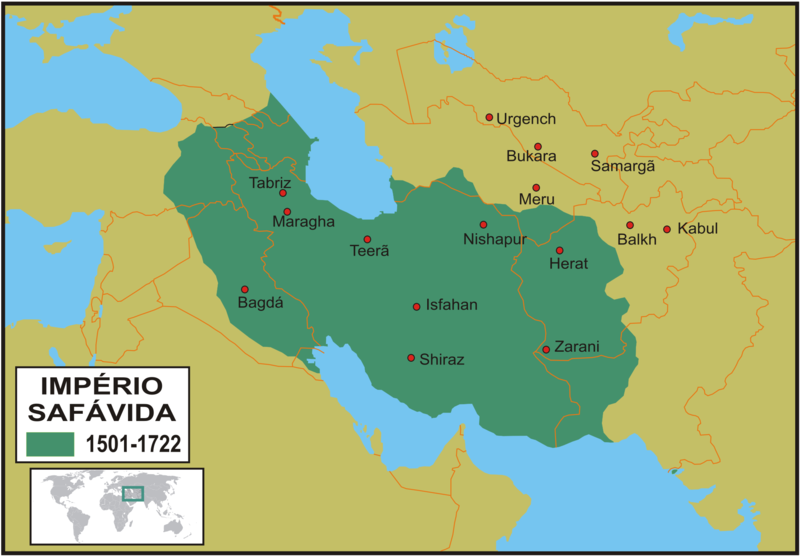 [xxvii] This was the period immediately following the consolidation of Safavid control over most of Iran and the defeat of the Uzbeks in Khurasan. As such, this period—immediately before Chaldiran—reflected the peak of Safavid power and messianic fervor. [xxxiii] ‘Alī ibn al-Ḥusayn al-Karakī, “Risāla fī al-Taqīyya”in Rasā’il al-Muḥaqqiq al-Karakī (Qom: Maktabat Ayatallāh al-‘Uẓma al-Mar‘ashī al-Najafī, 1988), edited by Shaykh Muḥammad al-Ḥassūn, 2: 51–54. For an important study of this epistle, see Robert Gleave, “The Legal Efficacy of Taqīyya Acts in Imami Jurisprudence: ‘Alī al-Karakī’s al-Risāla fī l-taqīyya,” al-Qantara (2013), pp. 415–438. [xxxiv] Calmard, “Tabarru’,” Encylopedia of Islam, Second Edition; Andrew Newman, “The Myth of the Clerical Migration to Safawid Iran,” p. 82. [l] Mehmed Ebu’s-su’d Efendi, “Fatwa against the Kizilbash (1548).” Translated into Arabic and edited by Muḥammad ‘Abd al-Razzāq al-‘Awfī. In Muḥammad ‘Abd al-Razzāq al-‘Awfī, Al-Ṣirā‘ al-Ṣafawī al-‘Uthmānī wa ta’thīrātuhu ‘ala al-Mashriq al-‘Arabī (Tripoli, Libya: Akādīmīyat al-Fikr al-Jamāhīrī, 2008), pp. 260–262; Muṭahhar ibn ‘Abd al-Raḥmān ibn ‘Arab Qādī, “Fatwa Concerning the Disbelief of the Sect of the Kizilbash (1581).” In Elke Eberhard, Osmanische Polemik gegen die Safawiden im 16. Jahrhundert nach arabischen Handschriften (Freiburg im Breisgau: Klaus Schwarz Verlag, 1970), pp. 220–229; Kemalpashazade, “Fatwa/Epistle Concerning the Qizilbash (1513/1514).” In Adel Allouche, The Origins and Development of the Ottoman-Ṣafavid Conflict (Berlin: Klaus Schwarz Verlag, 1983), pp. 170–173. See also Nabil al-Tikriti, “Kalam in the Service of the StateL Apostasy and the Defining of Ottoman Islamic Identity,” in Legitimizing the Order: The Ottoman Rhetoric of State Power (Leiden: Brill, 2005), pp. 131–149; Stefan Winter, The Shiites of Lebanon under Ottoman Rule, 1516–1788 (Cambridge: Cambridge University Press, 2010), pp. 12–26. This entry was posted in History by ballandalus. Bookmark the permalink.